Have you had enough water today? According to research it's pretty safe to say that you, along with 75% of Americans, are in fact dehydrated. Mayo Clinic states the average adult male should be consuming about 3 liters of water a day and the adult female should be consuming roughly 2.2 liters. 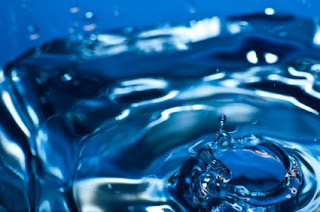 Water makes up the majority of your body, between 60 to 70% in fact. When the body isn't sufficiently hydrated, the cells begin to dry up. Without proper water intake throughout the day, your bodies cells are unable to work efficiently which causes a plethora of physical and mental problems. Maintaining proper hydration can increase physical performance by regulating body temperature, increasing motivation and decrease in overall fatigue. Hydration also helps keep your skin glowing by flushing out impurities, and it assists in weight loss! When you're dehydrated your brain sends mixed messages throughout the body, one of the biggest being "hunger". Your brain misinterprets dehydration as hunger, which can lead to unnecessary caloric consumption and weight gain. Not only does hydration provide physical benefits, but it also can improve on energy levels and brain function! Even mild dehydration can impair aspects of how your brain works. Water improves circulation, which not only keeps your skin healthy, but increases your energy by speeding up the rate at which your blood cells deliver oxygen throughout your body. More oxygen means a sharper mind, and a happier, healthier you! When your brain is functioning appropriately, your stress levels decrease. We all know soda is a huge factor in dehydration, and overall just terrible for you, but some of us assume that tea and juice are good alternatives. Though they may be BETTER, they still aren't WATER. They do not hydrate, in fact the caffeine and sugar dehydrate, and they trigger kidney function which depletes water reserves within the body. Now ask yourself again, have you had enough water today? Don't like the 'taste' of water? Find difficulty in drinking the daily recommended amount? Here are some infused water recipes!